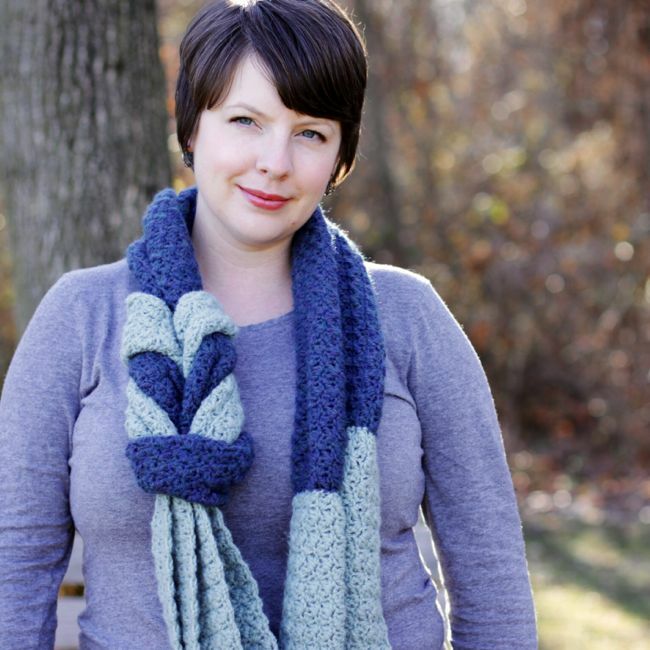 I’m so excited to finally have a new pattern for my shop – the Endless Entwine Scarf. After spending many hours making Christmas gifts over the past few months, I was ready to make something for myself. This scarf turned out exactly as I envisioned. 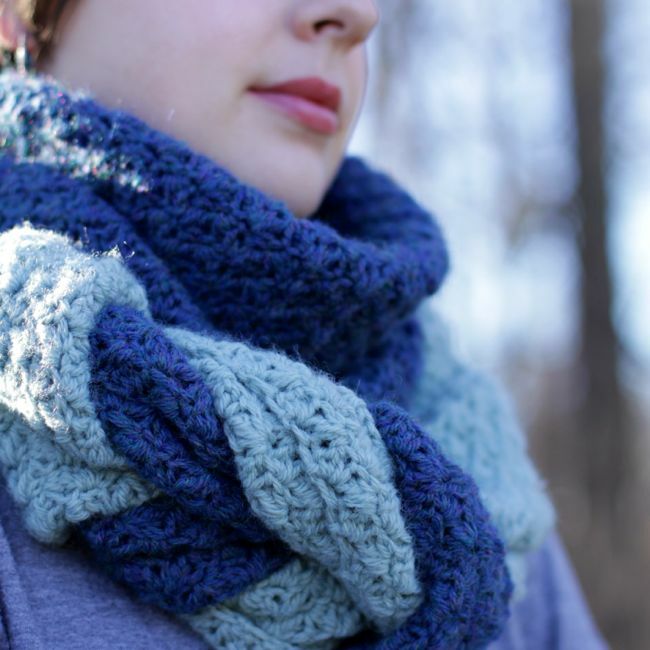 My favorite way to wear it is doubled up as a chunky cowl. Furthermore, the best part about this pattern is that it is very easy to follow – suitable for the beginner or the advanced crocheter – and perfect for someone who likes to binge watch television while crocheting. Since I think all of us crafters deserve to make something lovely for ourselves now that the holiday season is over, I’m going to give a copy of this PDF pattern to five lucky readers. Love your new pattern! It’s different from other scarf patterns….refreshing!!! Awesome! Lovely scarf and hope to win. Super cute scarf. I would love the pattern. I love this! I wanted to test but I just have too many other things on the table right now to get it in on time. I always love your patterns though! I love all your patterns and my mom is wanting something to learn. This would be great!!! Yea! This is so pretty! I’m not a scarf wearer but I would try for this! I would LOVE to win this pattern! Thanks for the giveaway! So pretty! You are very talented. I would love to have this pattern! Love “easier than it looks” patterns. I’d love to try it out. Love this, not sure I can wait till Sunday to see if I win may need to go ahead and purchase!!! Awesome pattern, I love chevrons and this one is really unique..
Gorgeous! It’s super lovely and I love the textured look! Beautiful! I am so glad to see you designing again. Lovely scarf, I only wish I had time to make it before my get-away to NYC next week. I’ve used some of your hat patterns and loved the results (I made over 40 hats for the holiday season 2013)!!! This came out great! Love it! I absolutely adore this! I would love the pattern! Beautiful scarf. I think this will be a birthday present to myself. Great pattern – would love to win! It’s even cool enough in Florida for a pretty scarf. Beautiful! Thank you very much for the opportunity to win! Very cute scarf! Thank you for creating such easy to understand patterns! 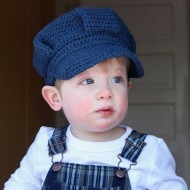 I always use your versatile hat pattern and just change it up with different colored yarn! 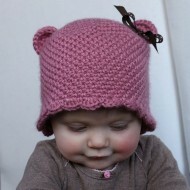 OMG- just saw this pattern on Ravelry (actually put it in my cart) and then went to ck out your FB page! Love love love this! Even if I don’t win it, I will be purchasing the pattern! Beautiful and can’t wait to start on it! Would love to try this out! Great scarf! Beautiful scarf! I would love to win this pattern! Wow, this is beautiful! Would love to make this to use in chilly NY!! I love your new scarf! It is absolutely stunning! I love your patterns and this design is so unique and modern! Love this! Great idea for a scarf! Very creative! Would love to win a copy! What a beautiful scarf and the color choices are magnificent! 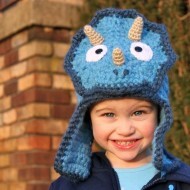 Can’t wait to get a copy of this pattern on my Ravelry.com library shelf!! Beautiful! I really enjoy using your patterns. Oh I love this pattern! Can’t wait to make one! Beautiful! Will buy once released! Love your patterns! I made three owls and one pumpkin hat for Christmas this year. Maybe the next project will be the scarf, who knows? Have to make this in all colors! This is a beautiful scarf! I would be so excited to win this pattern! Fingers crossed!!! This is such a beautiful scarf! I would love to win! Super cute! Would love to have this pattern! Love that scarf, that stitch is beautiful. Very pretty! You have excellent patterns with easy to follow instructions. I have made several variations of your ear flap hat. Best ear flap hat pattern I have!! Thank you!! I would love to win this scarf. I have most of your patterns and they are just fabulous. I have added this one to my basket and was saving up to buy it. It would be wonderful if I could win it instead. Such a beautiful scarf! I even love those colors! thanks for the opportunity!